Lionel Messi is unequaled in world football. For many years now, he has staked his claim as being the greatest footballer of all time. He is a goal-scorer supreme and besides the goals, his dribbling and playmaking ability is also unmatched. This makes it easy to depend on such a powerful player and while that has been the case for Barcelona for a long time now, last season took it to new heights under Valverde. Barcelona looked to their talisman even more than in the peak season (2012/2013) of Messi dependency under the late Tito Vilanova. 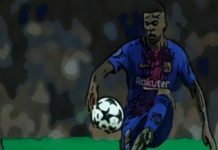 Last season, Barcelona coach Ernesto Valverde developed a tactical model that was devoid of any wingers of real quality due to Ousmane Dembele’s injury. Thus, he depended on the full-backs for width with Messi and Suarez as the two forwards. This meant that so much of the creating burden was on Messi as apart from an ageing Iniesta, he was the only creative player in the team. Rakitic and Busquets helped with ball circulation and stability while Paulinho made late runs into the box. 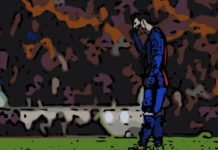 So while the 4–4–2 formation helped Barcelona to control games better and stifle opposition attacks, it was wholly dependent of Messi for any attacking inspiration when going forward. Even more so than in the 2012/2013 season. That season, with Messi playing as a false nine, he scored 46 goals and made a further 12 assists in La Liga. However, that season, a younger Iniesta was top of the assist rankings with 16. Cesc Fabregas, another teammate, also chipped in with 11 assists, only one less than Messi. So, while Messi scored more goals and made an equal number of assists compared to last season, the statistics show an obvious increase in the creative responsibility on the Argentine last season. He was top for goals, assists, and chances created in La Liga. In fact, when watching Barcelona last season, very rarely did they create something of any threat in a passage of play that Messi wasn’t involved in. Apart from all this, Barcelona were even more dependent on Messi last season for other parts of their game. In the 2012/2013 season, Barcelona had the greatest midfield of our generation intact with Sergio Busquets, Xavi Hernandez and Andres Iniesta running things, with Cesc Fabregas playing back up to the all Spanish contingent. This ensured that Barcelona had players with an abundance of press resistance, creativity and ability to break defensive lines with ‘laser’ passes into the spaces between the lines that Messi likes to operate in. This meant that Messi did not have to get overly involved in the initial phases of the build-up and could consistently prowl the spaces in the final third of the pitch, confident in his team-mates’ ability to find him there. However, last season, with Xavi gone and Iniesta not all that he once was, only Busquets was a consistent feature from the powerful midfield that Barca once had. And, while Ivan Rakitic is a solid player, his technical qualities are nowhere close to those possessed by the legendary Xavi Hernandez. This means that Messi now has to drop deeper a lot more and get involved in the early stages of build-up in order to gain possession and influence the play both for stability and chance creation. This has worked a treat so far, with Barcelona winning the double last season while losing only one game. It is a testament to Messi’s ability that even when he is positioned 40 yards from the opposition goal, he remains a direct threat with his ability to pick passes for the overlapping Jordi Alba and then arrive in time to score from the eventual cutback. Messi dependency does work, but it means that Messi is not allowed to be absent or to have an off day, otherwise Barcelona will suffer terribly. While Messi’s feats do stretch the limits of credulity, he is human after all. Like in the game against Roma in the Champions League last season, there will be games where he does not play to “Messi” levels and the danger is that Barcelona might then find themselves unable to pull through. In fact, the only game that Barcelona lost in La Liga last season away to Levante was the game that Messi did not play. Barcelona should take heed from what is happening to Real Madrid after Ronaldo’s departure to Juventus. Los Blancos were dependent on the Portuguese for a long time as his goal-scoring is matched only by Messi and his departure has left a big gap in that team. Barcelona depend on Messi for so much more than just goals and it would be wise to start preparing for the time when he will no longer be with us. 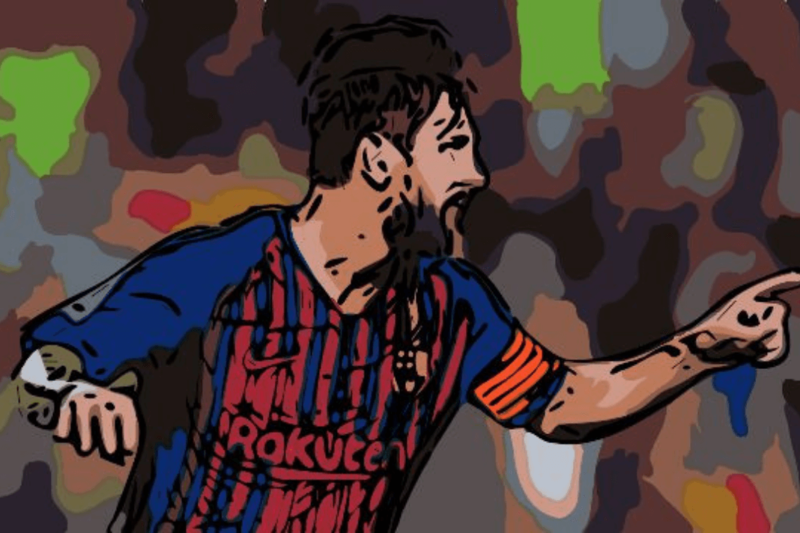 Barcelona approached something close to Messi semi-independence under Luis Enrique with the ‘MSN’ trident of Neymar, Suarez, and Messi sharing the goal-scoring and creative burden amongst themselves. We should look to recreate something similar, though in a different way. 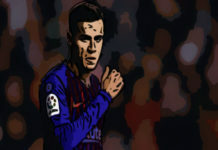 Already there are positive signs with Arthur, Coutinho, and Dembele helping in the phases where Messi was almost exclusively needed last season. As they develop further, Barca might be able to better manage the transition to a Messi-less era. They have to. Barcelona fan based in Nigeria, lover of tactical analysis, regular BA contributor, follow me on Twitter.